Renault’s tale in the subcontinent has witnessed an alteration in destiny after introduction of mass market vehicles such as the Scala, Pulse, and most especially the Duster. Two of these renowned vehicles are basically rebadged and slightly revived editions of the Nissan’s two most popular cars comprising Micra and the Sunny. Now the company makes plans to append another feather to its cap by bringing a new model to their array via badge-engineering and not astonishingly it will be the compact sport utility vehicle, the Duster. Autocar India stated that the car maker will bring out a Duster based sport utility vehicle (code named NH79) and it will be more than just shifting of bumpers, rebadging in addition to a new fencing. 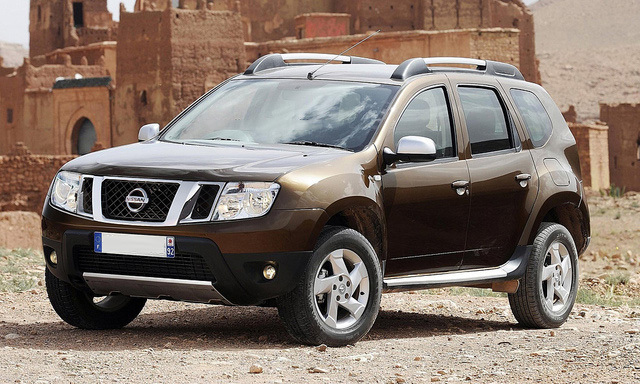 The Duster based sport utility vehicle will slot in below the Duster because of the Nissan-Renault chain of command. It is expected that the company sport utility vehicle will perform better than the Duster owing to an anticipated lower cost and the actuality that Nissan has a bigger attendance in the nation. Whilst the buyers guess a late 2013 launch, Renault might holdup this more as the Duster is presently their primary model with substantial part in their overall sales. Colin Dodge, Nissan’s executive vice-president stated that the company’s edition of the Duster will surpass badge engineering. “We have bagged quite a distinguished vehicle and the differences are far more substantial than on the V-platform products (Micra/Pulse and Sunny/Scala). The hood and the fenders have differences and the bumpers are diverse in addition. But it’s more than just a bumpers and grille change for sure,” added up Dodge. As per sources, Renault sold more than 4,000 Dusters in the month of September and the sales are expected to go up further because of the forthcoming festival period.